As I write this, tonight is the first night of the NFL Draft. If you are a fan of the NFL, you likely already know this. If you are a fan, you probably already understand my interest and my fascination. But if not, you might be wondering why so many grown men will tune in to watch the equivalent of “picking sides on the playground.” So let me explain, in the best way I can, why I love the NFL Draft. Hope: Let’s get this out of the way. I am a Cleveland Browns fan. So some might say, the first night of the NFL draft (where the Browns always seem to pick) can be the most hopeful and exciting night of the our season. I get it. But the fact is, the NFL Draft sells hope. Fans get the opportunity to hope for the player they want. They get to hope for the production that player might give the team. Hope is fun. We all need more of it. 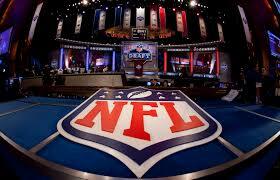 Excitement: The NFL does a great job (with its partners like ESPN) of creating a month-long build up to the Draft. Those of us who are fans have been talking about it for weeks. This morning, talk shows are broadcasting from Philadelphia (the home of this year’s draft) and talking about the potential picks. It is an industry in itself. But more importantly, it’s a story. And as we have said here before, people love stories. Intrigue: From my perspective, sports is the very best of “reality TV,” and the Draft is exactly that. For those of us that make fun of “giving the rose” on the Bachelor, this is not much different. It is really fun to watch what teams decide to do to build their franchise. I love it! The NFL Draft packages Hope, Excitement and Intrigue better than most events of the year. But what is the lesson? We can all use more of all three. So how are you creating those for your clients or employees? You might want to give that some thought.